The GLO Premier League 2011-2012 in Ghana finished on 27.05.2012. In this post, you will find the unofficial list of top scorers. 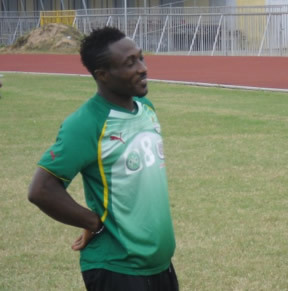 The picture is of Ben Acheampong of Asante Kotoko FC, one of the revelations of the season, and was found on sportslifeghana.com.